Today, six years ago, I started my Camino. 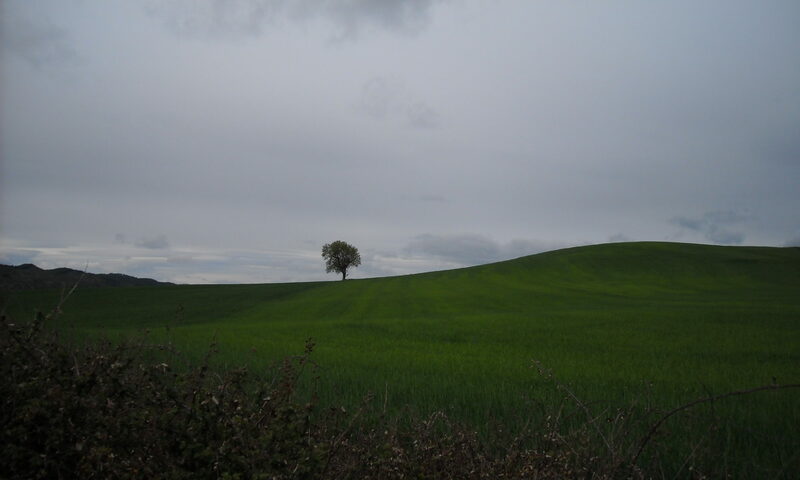 For this last week, I have been blogging about things I have learned from the Camino and how they apply for to my life now. 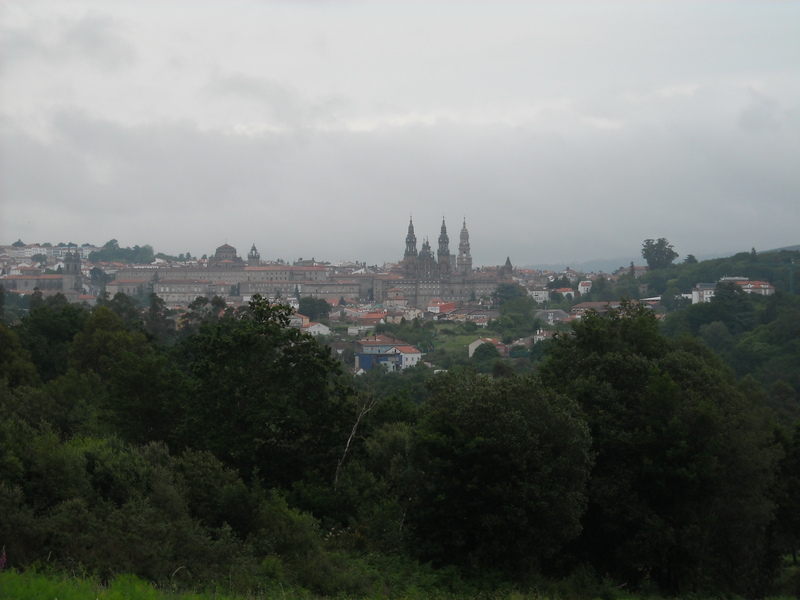 I remember the day I arrived in Santiago de Compostela. 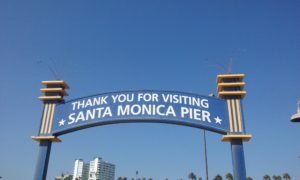 It was one of the happiest days of my life, and I am someone who doesn’t like to use phrases like happiest day. I was so happy that day. I was reunited with all of my Camino friends. I found a nice place to stay. I went to a friend’s birthday dinner. We stood in the square, and everyone sang Happy Birthday in their native tongue. It was a day of joy. We had arrived. 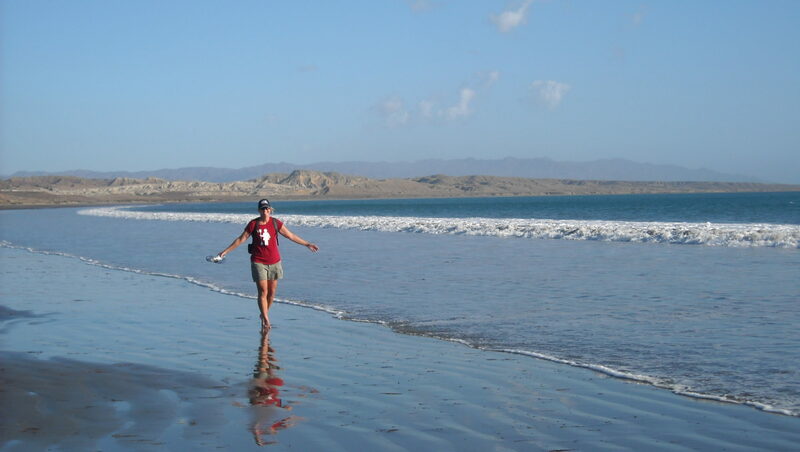 The next day, I put on my pack and walked out of Santiago. I wanted to go to Finisterre. 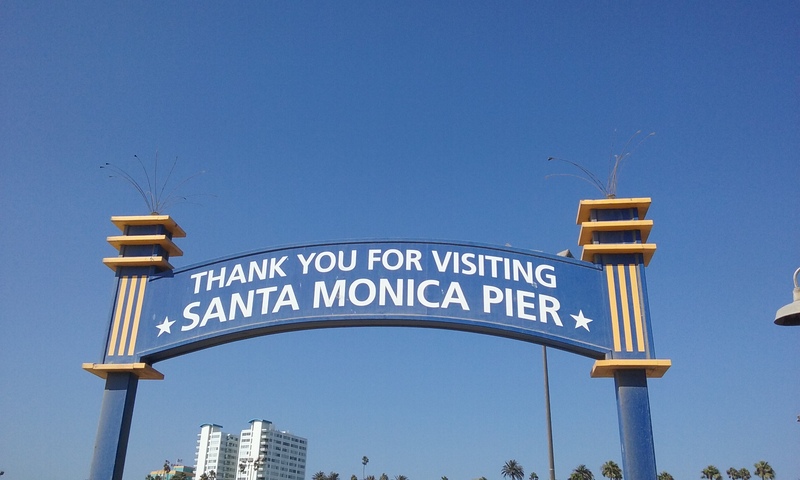 I wanted to go to the water. I felt that I wasn’t quite done. Even though I felt so much joy arriving in Santiago, I felt even more joy leaving it. I love watching awards shows like the Oscars. Yes, I like the pretty dresses. At the same time, I like noticing the ones who are happy winning but are also looking toward the next thing, the next project. It’s as if the award is not the end of anything but the beginning of something new. Yes, this is great, but I can’t wait to do the next thing. When you get there, what’s there? And isn’t the real fun in the going on? So here’s to you all making whatever journey you make. Celebrate when you arrive, then keep going. Isn’t it all so much fun? 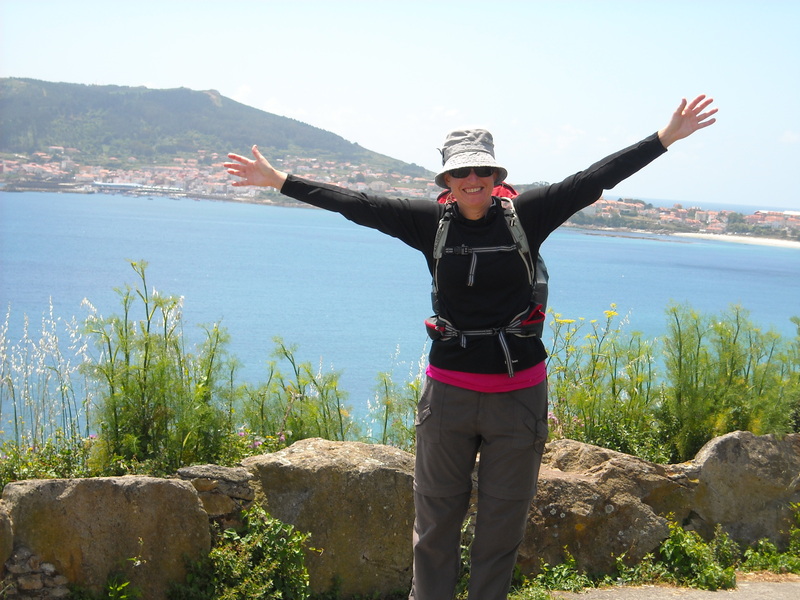 This is day five of my week long blog-a-thon where I look back on lessons from the Camino in order to inspire others and myself. 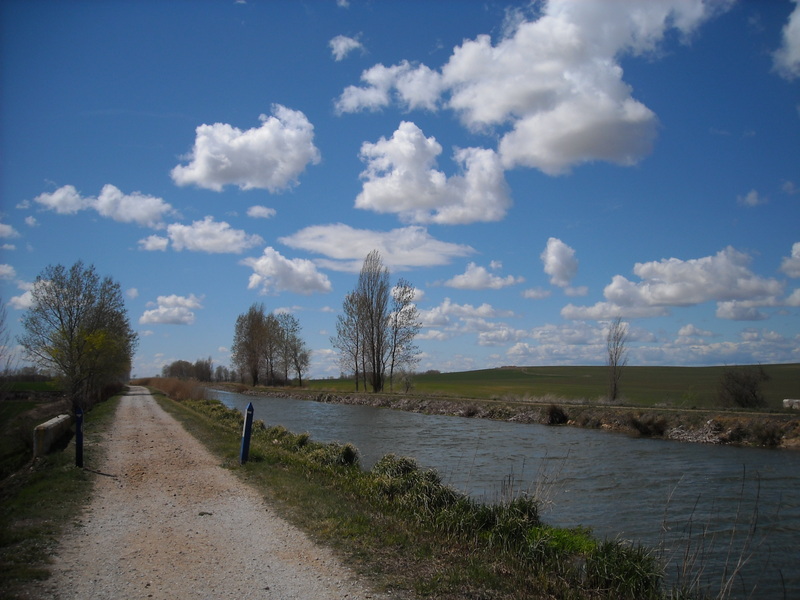 It’s my way of reconnecting with my Camino six years after my walk. Who am I really? Who is this Sunshine Jen person? She seems adventurous. She likes to write. She likes to walk. She likes to sail. But who is she really? Back in 2004, I was given a blog on the Happy Robot. The owner of the site wanted some west coast flavor. I figured I would write until I ran out of ideas and got bored with it. I took a break in 2016/2017, but the ideas are still coming. I walked the Camino de Santiago, and I wrote a book which I self-published as an ebook. Then to my shock, people read it. I published another ebook, and I did another walk and wrote a book about it. I learned how to build a website and blog on it. But who is Jen? How much of me is Sunshine Jen? I like to call Sunshine Jen my internet super heroine. Sunshine Jen just keeps going. I think Sunshine Jen has made Jen a better person. In a way, Sunshine Jen is Jen without the hours of silence spent typing into Microsoft Word documents (I’m a PC user). Do we recreate ourselves or do we just become more ourselves? I’m in my mid-forties now, and I feel I have recreated my life several times. There have been definite stages. I have no idea how it’s going to turn out, but I am enjoying the journey. In the last few years, I have felt better about living in my skin. For starters, I don’t have the horrible acne I had as a teenager. I feel more confident. I am still a shy person in many ways, but I’ve turned that into an advantage. I make it a point to be polite and kind to those around me. I’m honest with myself about how I feel about things. But wait, how can I be honest while being anonymous? In this age, everyone is sincerely themselves. That’s fine too. I just like being Sunshine Jen in the blogging. At the end of one of the Iron Man movies, Tony Stark stands up and says, I’m Iron Man. It’s as if he’s saying, fine, I am the hero, now can we all move on? I want to go work on my suit. For the record, as I’m typing this, I’m wearing black pants and a navy blue top. I’m not wearing reading glasses although I need them from time to time. The eyes are starting to go. I have some grey in my hair, but I don’t worry about that. I’ve had grey since my twenties. I like wearing running shoes, and I can no longer wear high heels for long periods of time. When I was walking the Camino, I promised my feet that if they got me through, I would not torture them by wearing heels for a long time. Also, I am currently eating a snack bag of cheez-its. According to the bag, they were made with real cheese. Would a snack ever admit to being made with fake cheese? A phrase that came to me when I was walking the Camino six years ago was: Trust the Love. It’s a phrase that comes back to me again and again. Trust the Love. It’s a command. You must trust, Jen. I’m a modern city-living lady. I have mastered the squint of distrust. I’ve trusted and been burned. I do get leery. But when she gets leery, try a little tenderness. Okay, thanks to Google, I learned the lyric is weary, not leery. I apologize for my imperfect lyrical memory and move on. Trust the love. What is this love that I have to trust? It’s not a tangible thing. It’s not something that has been proven. It’s an act of faith in something bigger than myself, and oh, how hard it was for my ego to think about something bigger than myself. Trust the love. It’s not just about loving people although it’s good to love those around you, to be kind and generous to those around you. Loving others is good. So is loving what you do. I have discovered that when I do what I love, I find others who love doing the same thing, and we form a community. On the outside, we might seem different, but together, we have a shared love. We enjoy each other’s company, and isn’t it nice going through life enjoying the company of the people around you. It’s such a pleasant way to be. Love can lead to courage. I have fears, I can be extremely cautious, but when I’m surrounded by people I love and trust, those fears go away. What am I really fearful of anyway? Yes, I realize this kind of thinking does not apply to every scenario on planet Earth. When I see a rattle snake on the path, I am not going to pick it up and love it. I’m also not going to give up hiking either. I’ve also learned from the walking that part of loving is letting go. This can be letting go of fears or insecurities, letting go of a certain self-image you had of yourself, letting go of something that causes unhappiness. It’s okay. I say, it’s okay, to myself a lot. It’s okay, Jen, you’re still on the planet. You’re still breathing. How can you not love that? For all of my adult life, I have lived in cities in the United States. I am used to convenience. I am used to everything moving in a systematic way. I can buy groceries twenty-four hours a day. I like sleeping in a comfortable bed. I like hot showers. But what if I don’t have that? What if things become unsystematic? What if the shower is cold? What if I’m sleeping in a room full of strangers and one of them is snoring loudly? What if I step away from all my expectations of my daily routine? Could I survive without wifi? 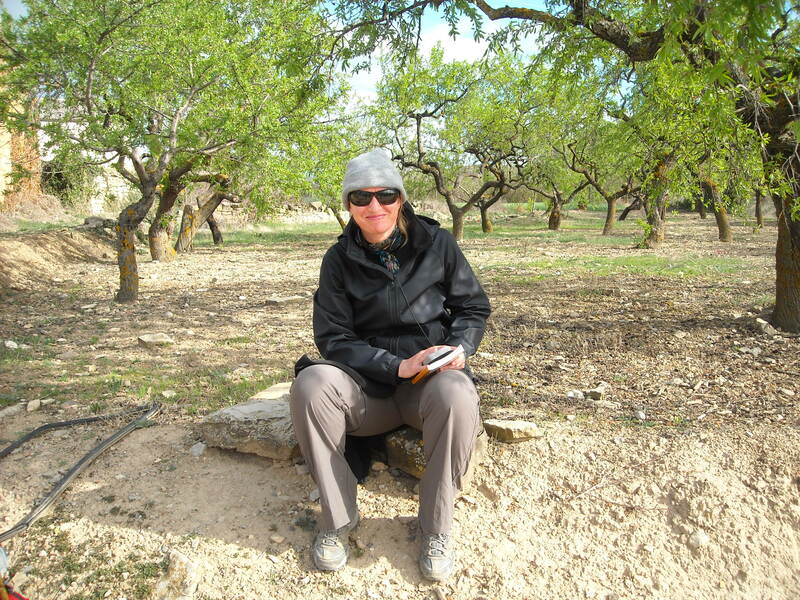 When I walked the Camino, I stepped away from the convenient and the comfortable, and I found I enjoyed the inconvenient and the uncomfortable more than I thought I would. Inconvenience became fun especially after I realized that it was not about me. Things just are what they are. I decide whether a long wait is a bad thing. I decide whether the snoring in the middle of the night is sooo terrible (although I did have ear plugs which did the trick). If my feet start to ache, I decide whether it is pain easily curable by resting or some terrible suffering. Since the Camino, I have found m my own way to comfort. A blanket is comfort when I crash on a friend’s couch as cats crawl over me at night. I will sit and have a cup of tea or coffee to take a break from my day. I like to be comfortable, but I don’t want to comfort to be a reason to not do something. It’s okay if I have to wait for something. It’s okay if I have to sleep on top of sails on a long boat trip. It’s okay if it’s all not perfect. It’s just life. 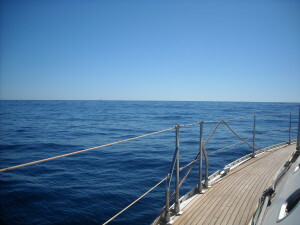 Recently, I was sailing (which I do a lot). The wind picked up and sea state got choppy. Suddenly, the boat hit a wave wrong, and everyone on the boat was soaked. It was a chilly day, and the water wasn’t very warm. Still, I couldn’t help laughing. Oh well, now I was wet. On a sailboat. What part of that was really truly awful? 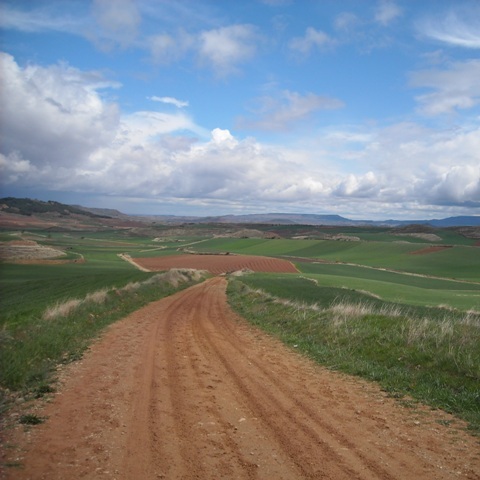 This is day two of my week long blog-a-thon where I look back on lessons from the Camino in order to inspire others and myself. It’s my way of reconnecting with my Camino six years after my walk. And I like writing. When folks asked me how many miles I walked in Spain, I would say five hundred. That usually led to a look of shock and awe. I would then reassure the person that I didn’t walk five hundred miles in one day. I walked between twenty and thirty miles each day, went to sleep at night, got up the next day, and walked twenty to thirty more. My hardest day to get up and walk was Day Two in Roncesvalles, but I got up and walked anyway. What was I going to do? 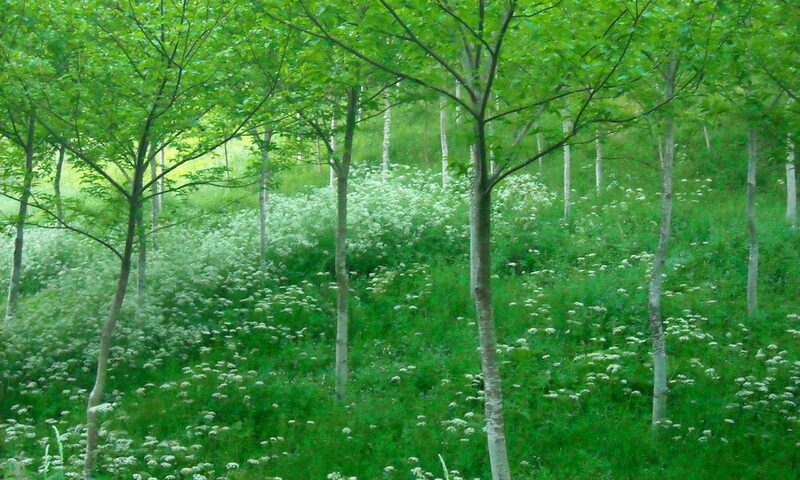 Stay in Roncesvalles and think about walking the next day? 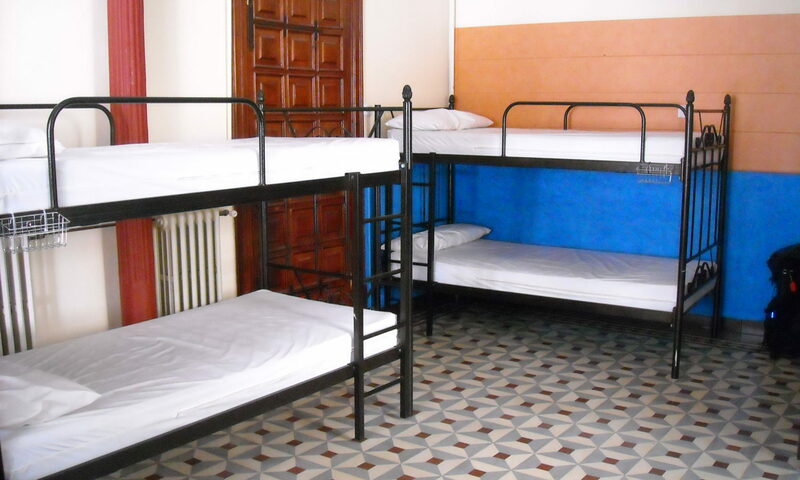 Besides, they were kicking us out of the albergue. When I was training for my Camino, I didn’t focus on being super fit. Instead, I focused on getting up and walking every day. Slowly, I worked my way up to walking five days. It’s not about the big number, the five hundred miles. It’s about all the little numbers. It’s about the three miles to the next café where I will have a café con leche. It’s about the twenty-three I walked that day. It’s about all the little things that I did every day to get myself to where I wanted to be. Even though I do not put new words on paper every day, I do work at writing every day. I read. I rewrite. I brainstorm new ideas. I find ways to get my words to readers. I work at it every day. 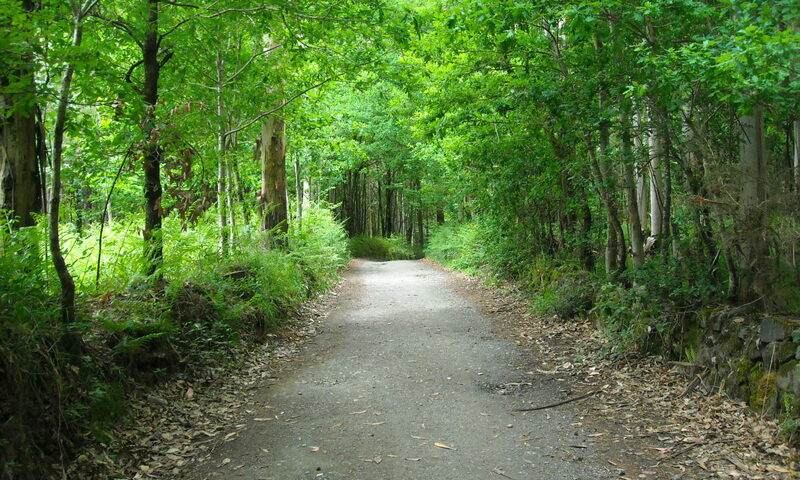 It has become natural to me like walking on the Camino. I love what I do, most of the time. Sometimes, it’s challenging. Sometimes, I go to sleep at night tired and frustrated. But then I get up the next day and do it all again. 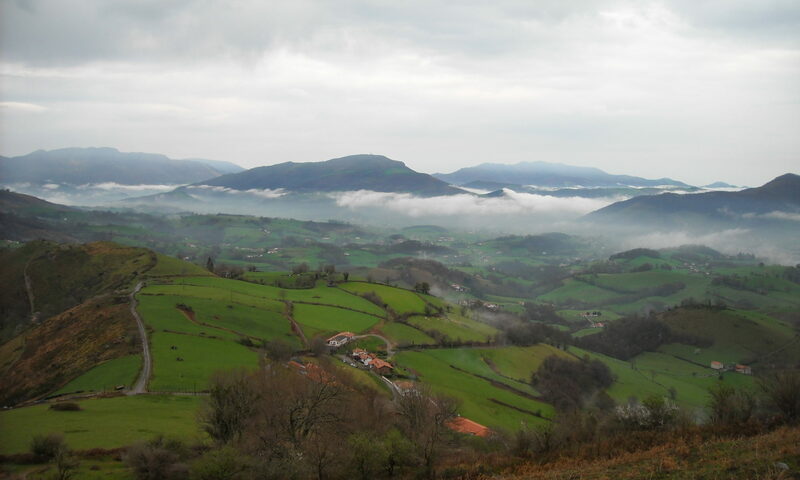 On April 6, 2012, I walked out of St. Jean Pied de Porte and started walking the Camino Frances. I did not know on that cool misty morning that my life or rather my attitude about life would change in the next six years. I did not know that I had everything I needed (too much in fact). I just knew that I was going to walk to Roncesvalles. Now, six years later, as 2018 starts, I have taken a step back as I ask myself what do I really want to do with my time on the planet. I looked at my website and I asked myself, what do I want to do with it? What do I want to do with my blogs? I restarted the Happy Robot blog because I enjoy riffing on things that are happening in the ether. It’s fun for me to just throw down some words. It always has been. But what do I want to do with the blog on this website?The answer came easily. 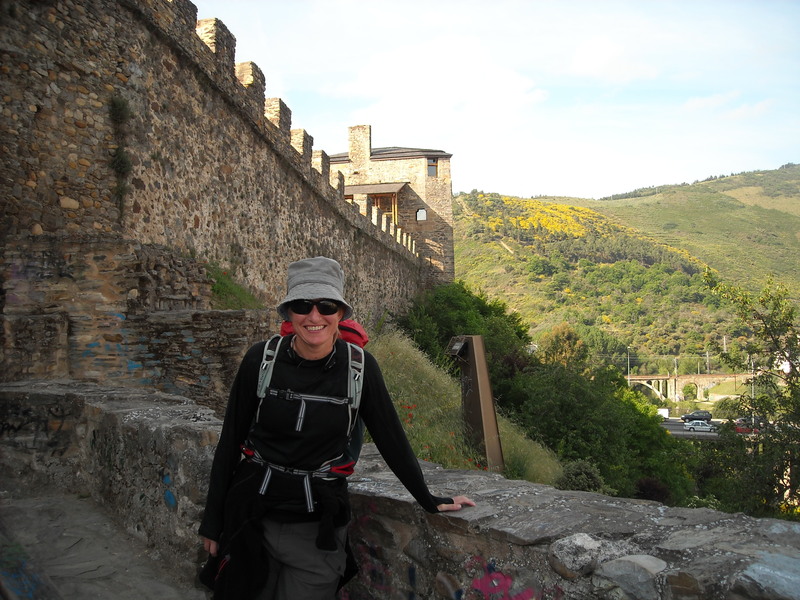 My mission on this site is to inspire Camino walkers and other aspiring adventurers. But how am I going to do that? I soon decided to write a series of blogs about random ideas related to the Camino and to my life. I don’t want to write about the practical. I want to write about those intangible things that keep popping up in my head. Maybe these blogs will help others. Maybe these blogs will help me. I decided to make it a specific series, so it doesn’t get out of control. I will post a new blog every day between now and April 6th, the 6th anniversary of the start of my Camino. I can’t always walk forward. Sometimes, I have to take a step back and look around. Sometimes, I need to look at the scenery. Sometimes, I need to drink some water or catch my breath. Then when I’m ready to go again, I’ll start walking forward. Adelante. What’s Jen Up To These Days? It’s been awhile since I’ve blogged on this site or simply blogged anywhere. I haven’t been feeling the call of the blog. In July, I thought about doing a piece about Wonder Woman after the movie came out. I would talk about how I dressed up as Wonder Woman on Halloween in first grade. My bullet proof bracelets were aluminum foil, and my lasso of truth was some yellow plastic chord. I would talk about watching the Lynda Carter show and reading a book of Wonder Woman comics. I even changed clothes while spinning in a circle. Not the most efficient way to change clothes. I would talk about the new movie and how she doesn’t stop when all the guys say no. She doesn’t stop. She’s Wonder Woman. Then Jen’s brain fizzled. 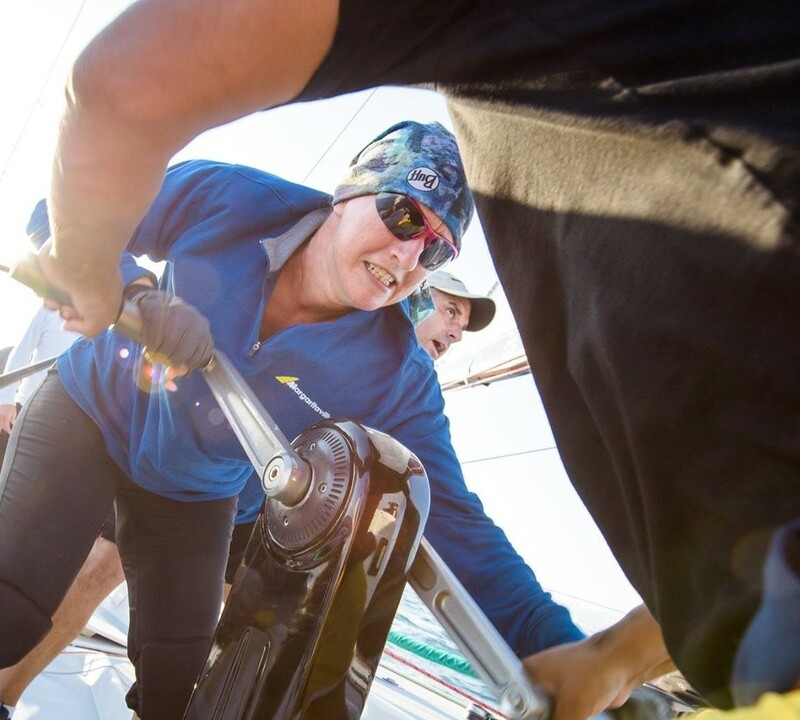 It was sail boat racing season, and Jen’s brain was on boats, boats, boats. What’s Jen up to these days? 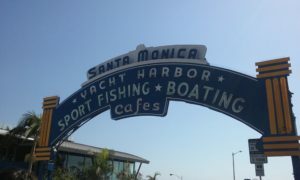 Jen’s racing sailboats in Southern California. I have been racing boats for a few years. With each year, the boats got bigger. Then, through a series of strange circumstances, I found myself on a fifty-two foot beast of a boat. Light hull. Big loaded sails. It was a little bit crazy, but I liked it. Then I met the pedestal grinder. When you watch big boats and you see guys (it’s usually guys) riding bicycles with their hands, they’re grinding power into the winches in order to trim sails or raise sails. I used to box, so I could move my hands quickly. I went back to the gym to get the power into my arms. I started grinding, and I liked it. Recently, Ken, a photographer, came on the boat. He helped me grind the first half of the race. Then he pulled out his camera and took some awesome pics. When I saw them, I was a little shocked. Whoah. I look fierce. But I’m loving what I’m doing. Check out Ken’s photos on his site. They’re awesome. 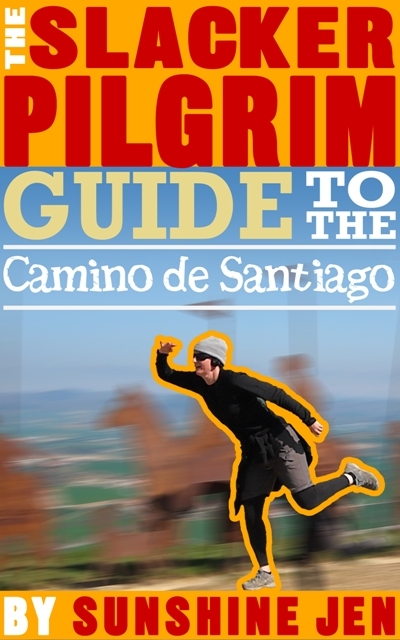 The first of November will be the fourth anniversary of the publishing of The Slacker Pilgrim Guide. How did four years go by? It seemed liked not so long ago when I walked into Santiago de Compostella on a cloudy morning. I had no lodging booked. I just knew I had done what I set out to do, and I was so happy that I had done it. And the next day, I walked out of Santiago to go to Finisterra. 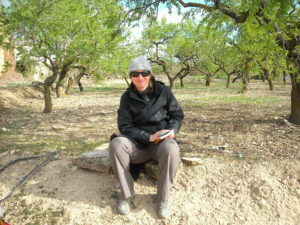 In my Osprey pack, I also had a notebook filled with notes and ramblings that I hoped to make into a book. 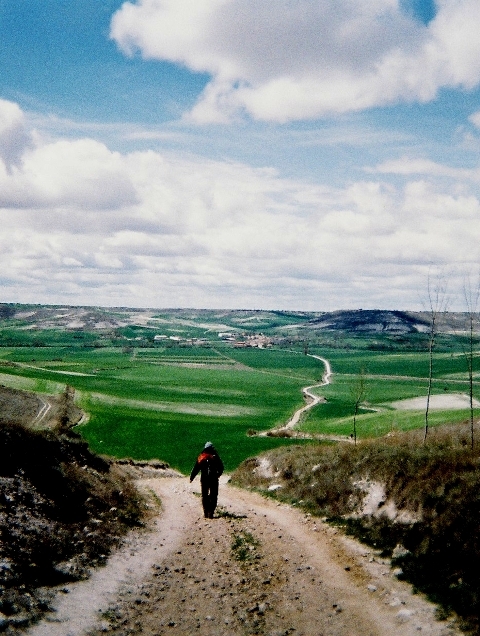 The journey from notebook to ebook was as long as the Camino. I had to learn a whole new form and new way of writing. I also would discover a whole new way of connecting with the world. . .but I’m getting ahead of myself. Recently the question of why I write these walking books was posed to me. I’m not completely sure why I write these books. I just do. Maybe if I talk about how I write the books, the why will become evident to me. The Slacker Pilgrim Guide began simply. 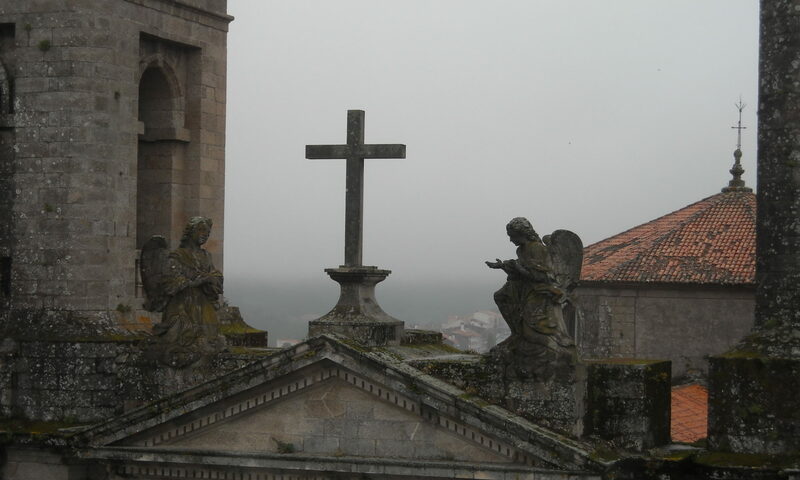 I was walking the Camino and thought, what if I wrote a book about the Camino. What if I wrote about all the little details—like Ladies Rooms and Café Con Leche. Instead of talking about the life changing epiphanies, what if I talked about the human and the humorous. 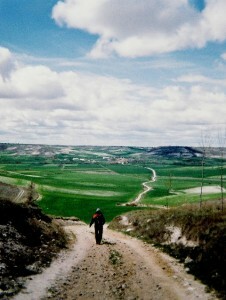 In 2012, the Camino was becoming more popular because of the film, The Way, and thanks to ebooks and the internet, one could learn about it. I knew that I had to get my book out quickly because the information in it was timely. I learned about ebooks and how to put a book up on Amazon. The Camino had given me a certain courage to just put the book out there, but as a failed playwright, I was prepared for silence. I was prepared for only friends reading it. I was not prepared for the book to spread far and wide and for the book to connect me with so many people I had never met. I became a Camino cheerleader. You can do it. Yes, you can do it. Sure, it’s gonna hurt. Sure, it might get uncomfortable. Go for it. I had never been a cheerleader. Cheerleaders did not appeal to my absurdist view of things, but I do know that a positive voice is what you need when you’re about to do something that might be a little crazy. Through these books I have connected with folks. My story and my perspective have led me to hearing other stories and other perspectives. There was an exchange. So why did I write the walking book and why do I continue to write walking books? At first, it was just an idea I had. But it was an idea that has developed into something larger. It is an idea that goes around the world and back again. It’s an idea that leads to connection and community. It’s an idea that makes me a better human. I am not a super hiker. I am not a superior human being. I am just a person. I have faults. I get angry and upset and worried and scared like everyone else. But I have had moments when I see the good in myself and the world. I can walk for long distances (with cafes along the way) and everything starts to look good. I like that you can go to a country and walk through it. I live in a country that is huge, and there are parts where that is difficult to do. I like seeing a place one step at a time. I like the slowness of a walking pace. I like it when I get a beautiful view after a little bit of work. All I had to do was start.